There is an instant attraction to this side table. 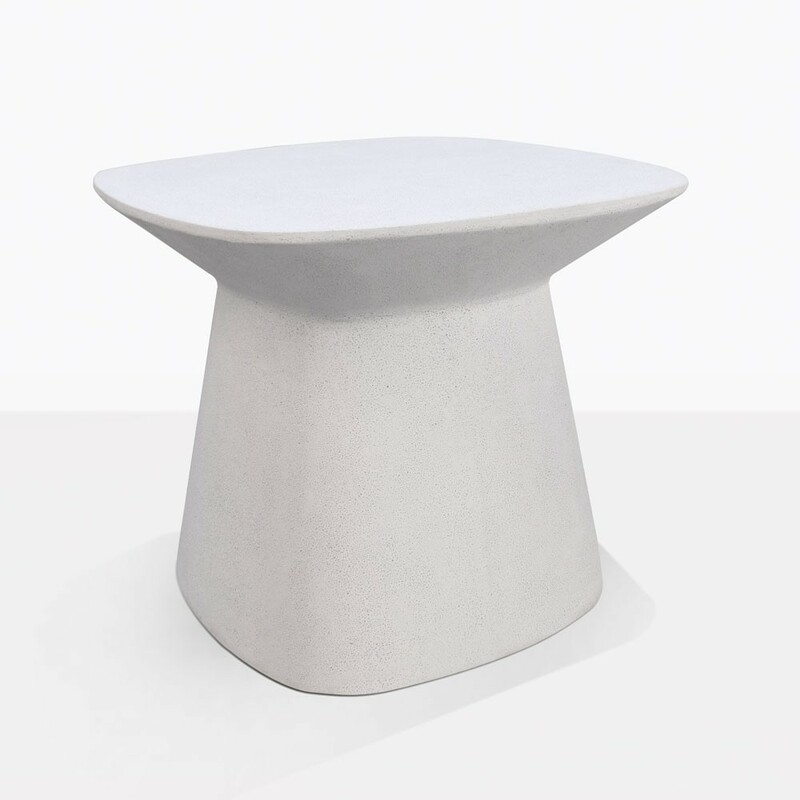 The soft grey and white color, plus the curved and angular shape of the base and top go together so well. 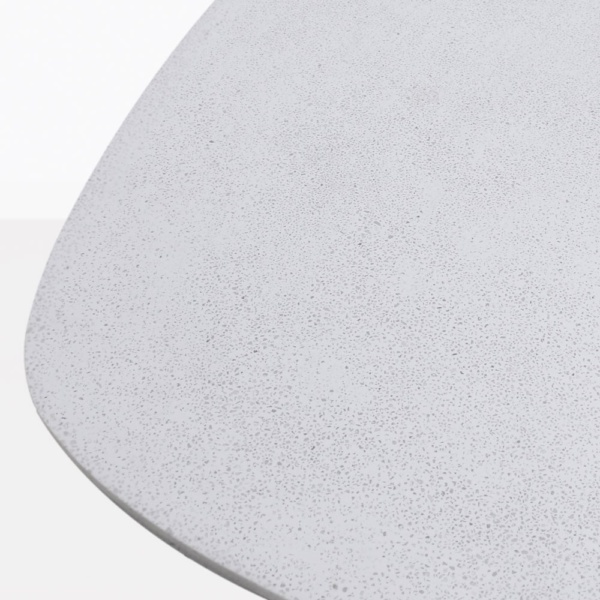 The Bunni Side Table is a beautiful piece, and has a presence that almost makes it feel like a sculpted work of art. The Bunni table is made out of a special blend of fiber-stone. It has a soft color and should be wiped clean to keep it looking its best. 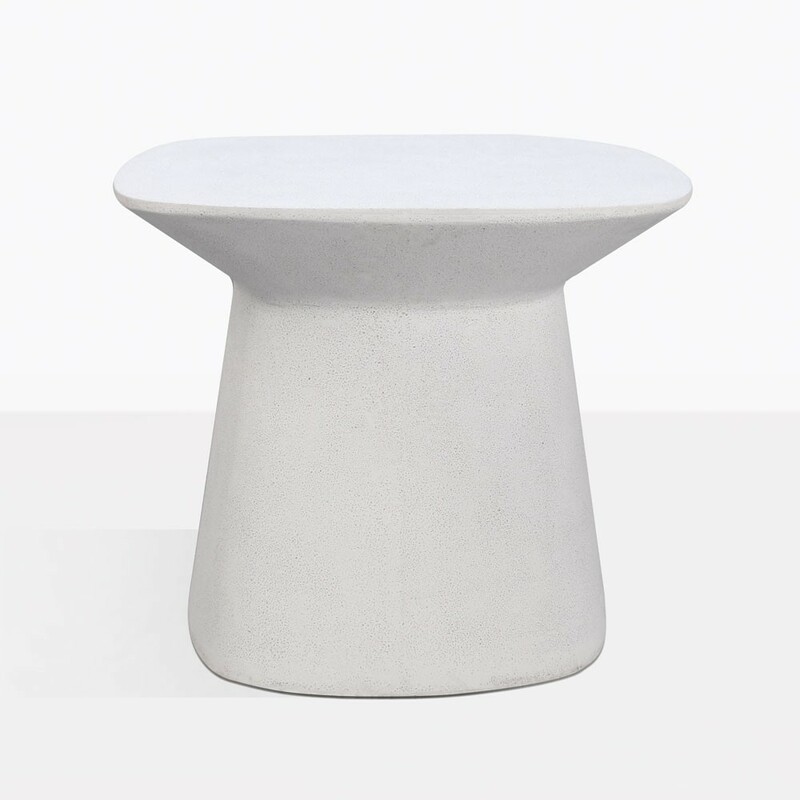 It has a good solid weight to it, but it still can be easily moved and placed. And with proper care this table will look beautiful for many years to come. W23.5" x L23.5" x H20.4"